Hattusha, or Boğazköy, lies in northern Central Anatolia, just at the north edge of the ancient region of Cappadocia. Within a dry continental climatic zone, we see scant steppe-vegetation; over some large areas there is scarcely a tree in sight. The winters are long and cold; the summers relatively short, but hot. This was not always the case, however; in earlier times the climate was more moist, with lesser extremes in temperature. Bordering the central steppe of Cappadocia (to the south of Yozgat) were more temperate regions-most particularly to the north-with dense vegetation and forests. The denser plant cover prevented erosion and raised the level of the ground water, which again benefited the vegetation. Conditions were more suitable for agriculture and husbandry than today, and the woods sheltered a large variety of wild game. Very few traces from the Paleolithic and Mesolithic periods-when man was still a wandering hunter and gatherer-have been discovered in northern Anatolia. Even from the Neolithic period, when man had begun to settle down to a livelihood of raising his own crops and animals, there is not much more evidence of his populating this region. The early farming societies apparently did not find the wooded, mountainous landscape to their liking. The open meadows and milder climates to the south must have been more attractive, for that is where the first developed farming communities sprang up; of these, Çatalhöyük (Çatal Hüyük) near Cumra in the Konya Plain is perhaps the best known. The ruins excavated demonstrate that the city of Hattush was burned down in a great conflagration around 1700 BC. Responsible was King Anitta from Kussar, who also put a curse on the site. But already by the second half of the 17th century BC the temptation to settle here again had obviously become overwhelming, for a Hittite king had indeed chosen the site as his residence and capital. The Hattian Hattush was now the Hittite Hattusha, and the king took the name of Hattushili, or "one from Hattusha." This is the beginning of the story of the Hittite capital and the Hittite Royals - until now, 27 kings are known by their names. The first "settling in" around Boğazköy took place in the 6th millennium BC during the Chalcolithic period, when small widely scattered hamlets appeared most particularly on mountain slopes and rocky outcroppings. Such a small settlement on the heights of the Büyükkaya ridge represents the earliest known inhabitancy within the Hattusha city limits. A contemporary settlement has also been found near Yarıkkaya, some two kilometers NE of Hattusha. In the following millennia settlement in this wooded landscape of northern Anatolia increased very slowly. It was first in the 3rd millennium BC-during the Early Bronze Age-that coherent zones of habitation, settlements that actively traded with one another, developed and founded the basis for advancement in society. Small settlements grew into political and religious centers, wielding their influence over larger and larger dominions. The discovery and development of the mineral sources in northern Anatolia is believed to have been one of the stimulating factors. One thriving center was located at Alaca Höyük, only 25 km from Hattusha/Boğazköy. The astoundingly rich chamber tombs (known as the Royal Graves) discovered at Alaca Höyük yielded elegantly fashioned weapons, jewelry, and sculpture, as well as implements and vessels of gold, silver, electron, bronze-and even iron-from a period as early as 2400-2200 BC. The inhabitants of the site were Hatti, the natives of north and Central Anatolia and the predecessors of the Hittites in this region. Soon there was a Hattian settlement at Boğazköy as well, and this habitation, founded towards the end of the Early Bronze Age, marked the beginning of continuous occupation at the site. Remnants of the Hattian settlement have been located under the fill of the Hittite Lower City. During this period there was also occupation on the high ridges of Büyükkaya and Büyükkale, with evidence even of fortification walls. Assyrian Trade Colonies Period defines the period in Anatolia in the beginning of the second millenium B.C. 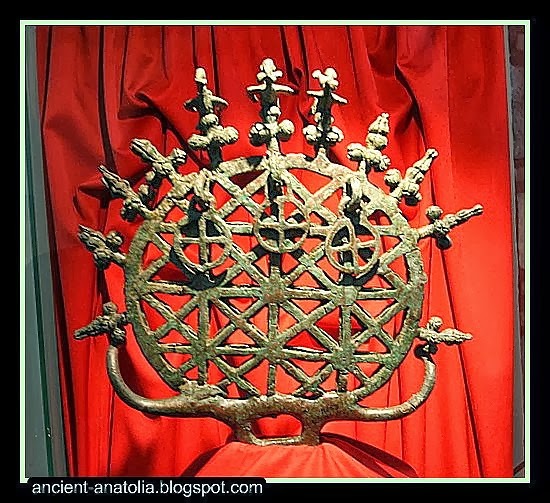 Spans a period of approximately 200 years and marks the beginning of the Early Bronze Age in Anatolia. Assyrian merchants who came to Anatolia for trading brought the cuneiform script that they learned from Sumerians and thus written history began in Anatolia. Terra cotta and stone vessels, seals and stamps, figurines, lead god and goddess figurines and moulds, cosmetic boxes, golden objects and ornaments, bronze tools and weapons found at Kültepe, Acemhöyük, Alişar, and Boğazköy excavations are seen in Ankara Museum of Archaeology. During the Middle Bronze Age the Hattian occupation grew into a city of such significance that a Karum was established here in the 19th and 18th centuries BC - a trading post of Assyrian merchants who had come from Assur (in the middle Tigris valley, now a part of northern Iraq) to procure natural resources such as copper, silver, gold and precious stones. Long caravans of donkeys transported these materials to Mesopotamia, where they loaded Mesopotamian goods for exchange-including tin, garments and fabric-and set out on the return journey. Along their route the Assyrian merchants also dealt in local Anatolian products; the whole of eastern Anatolia was enmeshed in the net of their routes, knotted together by their trade colonies. In Central Anatolia they established such colonies at several centers of Hattian rule. The Assyrian traders and their families lived in separate residential quarters; they enjoyed the protection of their Hattian lords and paid taxes in return. The center of their network was located in Kanesh/Nesha (at the site of Kültepe near Kayseri). It was these Assyrian traders who first introduced writing to Anatolia, for business could hardly be transacted without documentation. 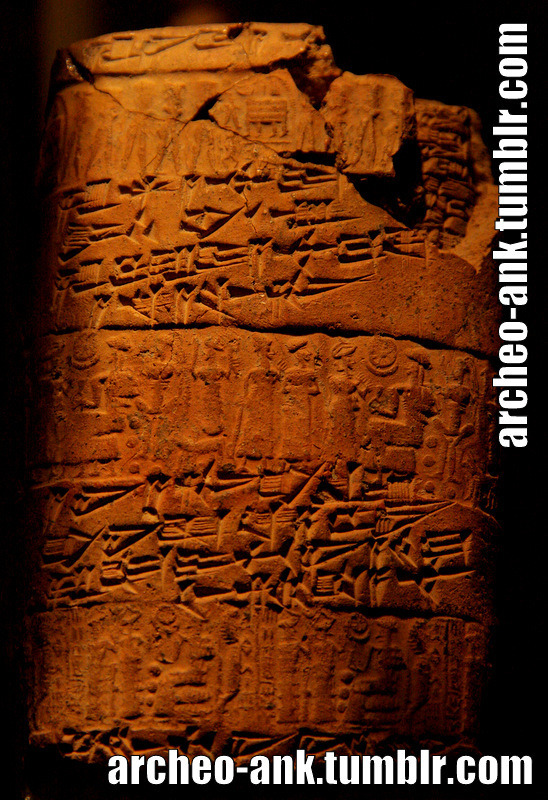 Purchases and sales, orders, credits, and exchanges were all recorded in Akkadian cuneiform writing on clay tablets. On these tablets the name of the city was written as well; Boğazköy was still-or already, we had better say-Hattush. During this era, known as the Karum period, fortifications were laid out on Büyükkale. It would seem that the rulers of Hattush resided there; the rest of the Hattian settlement stretched from the slope below Büyükkale to the area where the Great Temple of the Hittites was later erected. The Karum of the Assyrian traders lay just to the north. Both the settlement and the Karum must also have been fortified against enemy attacks. During these first centuries of the 2nd millennium BC there appears to have been frequent strife in Central Anatolia between the local Hattian rulers and the immigrant Hittite groups who were anxious to consolidate their power. The ruins excavated demonstrate that the city of Hattush was burned down in a great conflagration around 1700 BC. The destruction of the city was even inscribed in cuneiform; a King Anitta of Kushar reports that he has defeated King Piyushti of Hattush and destroyed his city. "At night I took the city by force; I have sown weeds in its place. Should any king after me attempt to resettle Hattush," he wrote, "may the Weathergod of Heaven strike him down." Anitta chose the city of Kanesh/Nesha, some 160 km to the southeast and already quite influential as the center of the Assyrian trade colonies, as his capital. We do not know how long Anitta's curse on the city of Hattush was respected, but the advantages of the site and the many springs there were certainly enough to have attracted settlers relatively soon. By the second half of the 17th century BC the temptation had obviously become overwhelming, for a Hittite king had indeed chosen the site as his residence and capital. The Hattian Hattush was now the Hittite Hattusha. The Hattians may have been connected, in language and proximity, to the Khaldi/Kardu. The Khaldi were a Bronze Age people inhabiting the south-eastern shore of the Black Sea (now part of Turkey). They were related in proximity and probably also in language to the Hattians, an ancient people of Asia Minor, whose Hattic language is now believed to have been related to the Circassian language group. Another ancient ethnic group possibly associated with the Khaldi are the Kardu. The Khaldi, and neighboring tribes Khalib/Chalybes, Mossynoikoi, and Tubal/Tabal/Tibarenoi, are counted among the first ironsmith nations by classical authors. The main sources for the history of the Khaldi are certain well-known works by Homer, Strabo, and Xenophon. As late as in Roman times, the Chaldaei (i.e. Khaldi, homonymous but unrelated to the Semitic Chaldeans) are mentioned as a tribe immediately neighboring the Chalybes in Pontic Cappadocia, or the Pontus Cappadocicus section of the Roman province of Pontus. Exploring lost civilizations of 5000 years at mound Acemhöyük: Assyrian Trade Colonies and city states of Anatolia in late Hatti times. Search for the lost city Purushanda, draft worksheet.